The Road to Home is an award-winning feature length documentary about Nobel Peace Prize nominee Benny Wenda, the leader of the West Papua independence movement. 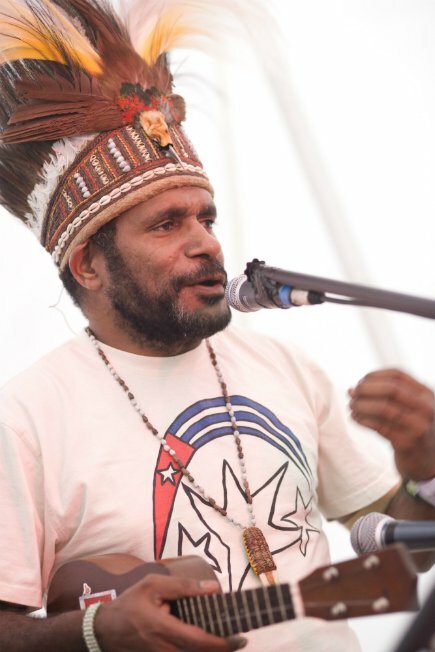 Benny Wenda was born and raised in the Baliem Valley in the remote central highlands of West Papua. In 1977, when he was two years old, there was a rebellion of 15,000 Lani tribespeople in response to Indonesian military violence towards Papuans. The Indonesian military retaliated, with aircraft bombing Lani villages, killing thousands. Those killed included many of Wenda’s family. Between 1977 and 1983 Benny, along with thousands of other highlanders, lived in hiding in the jungle. Later, after the Lani people surrendered to the Indonesian military he attended a state university, in Jayapura, studying Sociology. After graduating he became Secretary-General of Demmak (Dewan Musyawarah Masyarakat Koteka), the Koteka Tribal Assembly for the West Papua highlands. Demmak was established by highland tribal elders with the goal of working towards recognition and protection of the customs, values and beliefs of the tribal people of the highlands. He was arrested and placed on trial in 2001 by the Indonesian authorities following a crackdown on pro-independence figures. He escaped prison while on trial and was smuggled across the border to neighbouring Papua New Guinea where he was later reunited with his wife Maria at a refugee camp. Several months after this he travelled to the UK where he was granted political asylum, and from where he now lives leading the campaign to being freedom to his homeland.